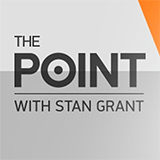 The Point is a TV show on Australian national television from NITV with an average rating of 3.3 stars by TVCatchUpAustralia.com's visitors. We have 315 episodes of The Point in our archive. 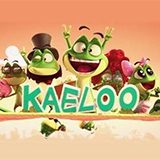 The first episode of The Point was broadcast in April, 2019. Did you miss an episode of The Point but don't you wan't that to happen in the future? Please set an alarm and add The Point to your favourites, so we can remind you by email when there's a new episode available to watch. Completely free: handy! The Point investigates the media's coverage and public reaction to Indigenous protest on Australia Day historically. John-Paul Janke and Rachael Hocking speak with a special panel of Stan Grant, Jack Latimore, Carla McGrath and Cecelia Edmunds.